Nimrod's kingdom is about to face its greatest challenger in a young boy named Abraham. 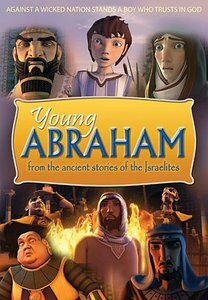 While little is known of Abraham's childhood before he is mentioned in the Old Testament, Young Abraham presents the fictional yet mighty tale of this courageous boy who stands toe-to-toe against the most powerful ruler of the ancient world. This exciting DVD will help bring Abraham's pre-Bible days to life. From the ancient city of Ur to the lush hills of Canaan, Abraham's journey is filled with adventure, danger, and plenty of laughs while inspiring faith in what God can do in a young heart when surrendered to Him.